The Douglas A-3 Skywarrior was designed as a strategic bomber for the United States Navy, but its primary function for much of its later service life was as an electronic warfare platform, tactical air reconnaissance platform, and high capacity aerial refueling tanker. In these roles it was among the longest serving carrier-based aircraft in history, entering service in the mid-1950s and retired in 1991. 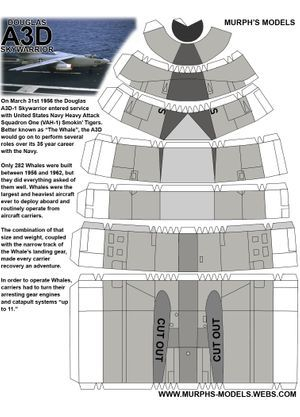 Throughout its service, it was the heaviest operational aircraft to operate from aircraft carriers, earning its nickname, "The Whale." 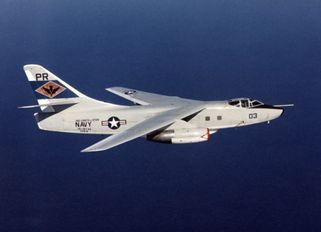 The Skywarrior is one of only two U.S. Navy attack aircraft intended as a strategic bomber to enter full-scale service, the other being its predecessor, the North American AJ Savage. 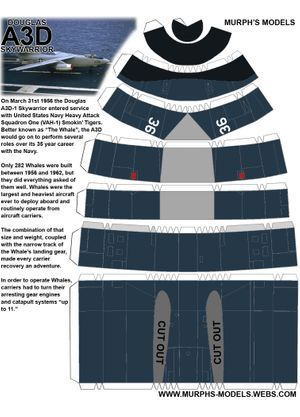 The carrier-based supersonic North American A-5 Vigilante was also originally designed for strategic nuclear strike missions and initially, very briefly, supplanted the A-3 in that role beginning in the early 1960s. 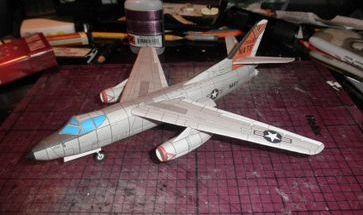 A modified derivative, the B-66 Destroyer, served in the U.S. Air Force until the early 1970s as a tactical bomber, electronic warfare aircraft, and reconnaissance platform.